Ikibu Casino came as a new casino in autumn 2016. An adventure like no other casino where you immediately will notice how much fun it can be to get you through the island Ikibu in search of big money and much more. 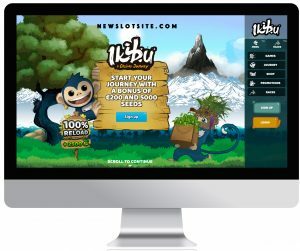 Ikibu is an island where the monkeys “Ikkis” live, and it is in the role of a monkey (the cute one), you will take your casino skills and luck to a new level. The easy registration will quickly make you a member of this adventurous slot site where you quickly will see that there is a remarkable variety of bonuses through various campaigns, competitions, and promotions. After the sign-up, you will get a bonus on your deposit and Ikibu-seeds. Ikibu seeds are something you will see a lot of during your adventure on this new slot site. Ikibu seeds are used to purchase additional bonuses, free spins and more. As you can tell, a casino bonus with Ikibu is a lot different from other online casinos. Being a great adventure casino, you are offered a world of possibilities. All comes down to grow your seeds, which you are able to do in the various villages and when you gain new levels. The more seeds you collect, the more fun you will have and the more free spins will be available to you. You can also exchange your earned points to free spins. Be sure to sign up for the newsletter where you will get more information regarding your Ikibu free spins and Ikibu seeds. The standard for new slots sites 2017 should be mobile first or at a minimum a responsive site. Ikibu Casino doesn’t disappoint with their innovative mobile site. Easy accessible through any browser of your choice including both Safari and Chrome. Being a responsive website, you will find it easy to navigate and play your favourite games on your iPhone or Android smartphone. While on your phone you can use Ikibu bonus, play for free or use your free spins. The only thing you have to do is register and log in and the adventure is right at your fingertips. As a member, you are of course not limited to only one device. Feel free to use your tablet or computer, both PC and Mac works perfectly fine. When logged on at the Ikibu Casino it is straight forward how to make a deposit. Simply, click on the deposit button and it will take you to the deposit section where you need to fill out your details, and in seconds you will be off to your next big win. 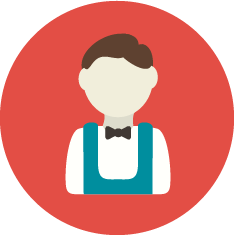 The process runs smoothly, and you will find a payment solution that suits you. They offer e-wallets like; PayPal and Skrill but also support the most common ones like; Visa, MasterCard, Maestro, Moneybookers, Neteller, Euteller, Ecopayz, Paysafecard, Bank transfers, Zimpler, Sofort, and Ideal. Withdrawals are often approved within 3 hours for verified accounts. Having a verified account helps the payment process a lot, and it only takes few minutes to do. Playing at Ikibu Casino, you can be sure that you are in good care. Customer support will take care of you in case you would need it, whatever it may be. You can reach them by email and live chat. Remember, there are no stupid questions. More common questions you may have can be found in their FAQ section. If there are any hiccups with your bonus, deposit or similar, please feel free to get in touch with the fine folks at Ikibu Casino. We, at Newslotsite.com, always appreciate when a casino does a bit more than the rest. In this case, it is very enjoyable and inspiring to see that even in 2017 we can be surprised when it comes to new online casinos. That being said we are convinced that you get a beautiful experience playing at Ikibu Casino. They make you feel like you are part of something and that you can contribute to build (villages) and explore new islands. As if this wasn’t enough, you will also take part of different promotions; free spin competitions will make your gaming consistently entertaining. On top of that, make you som money! Not bad, right? !